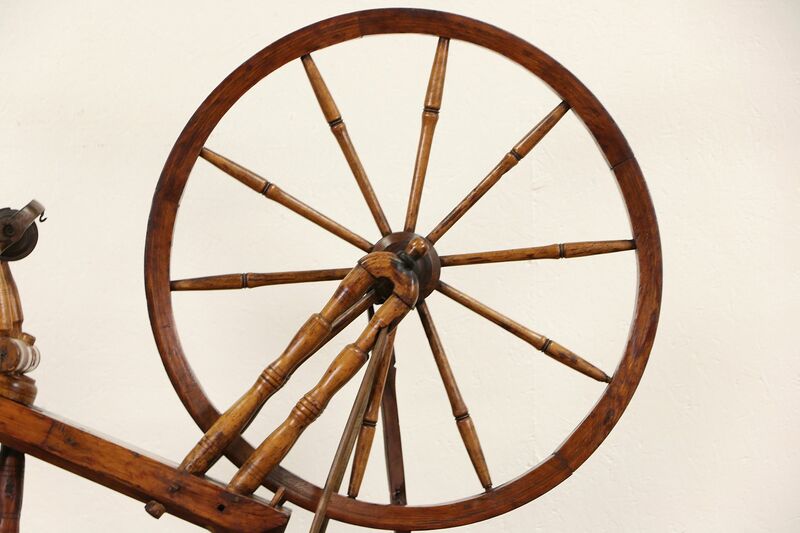 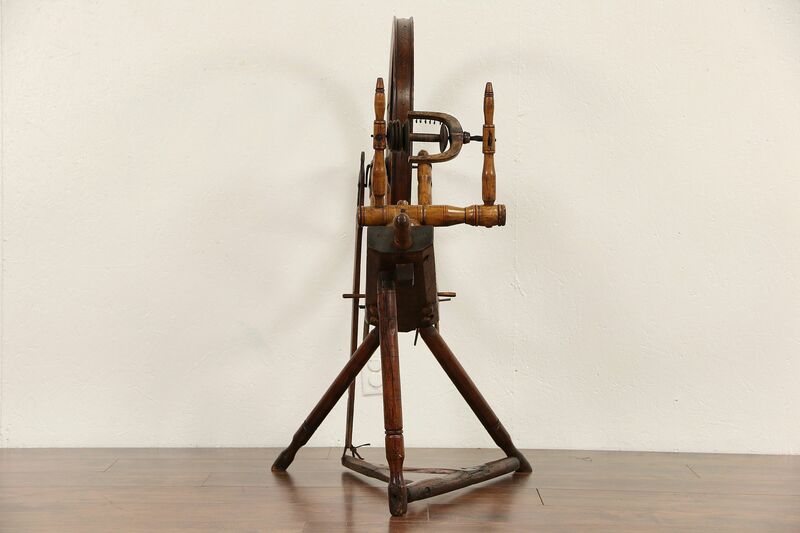 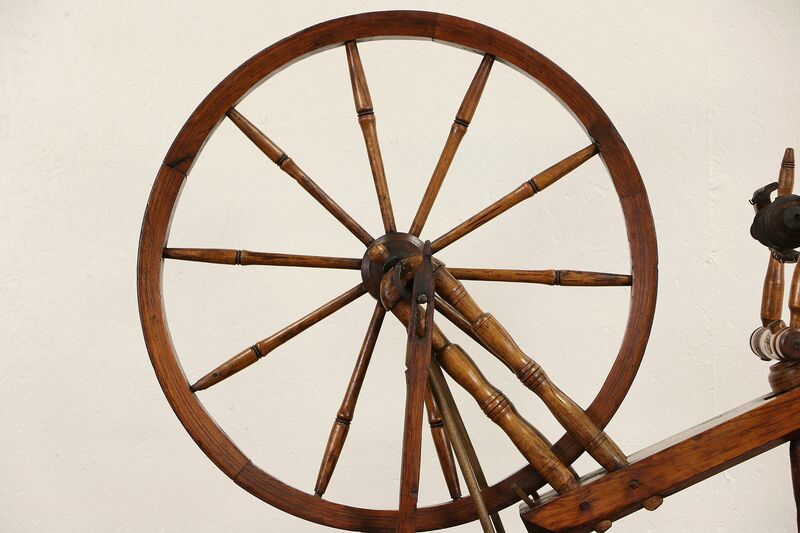 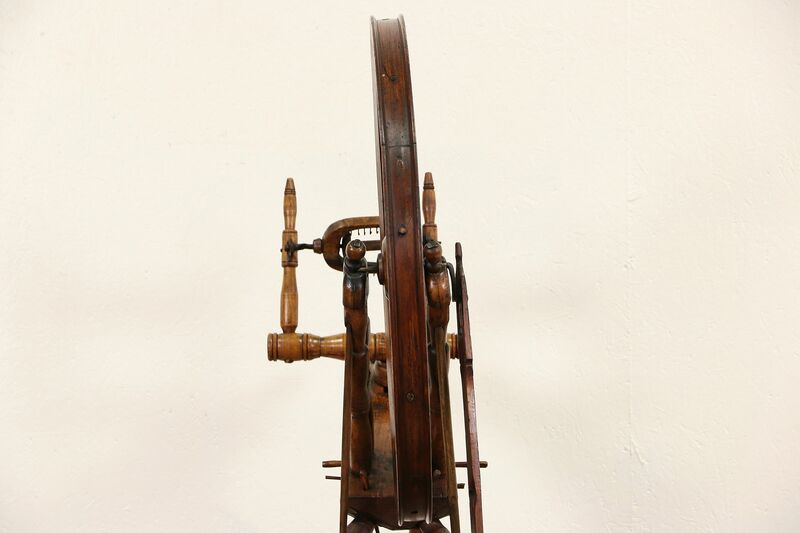 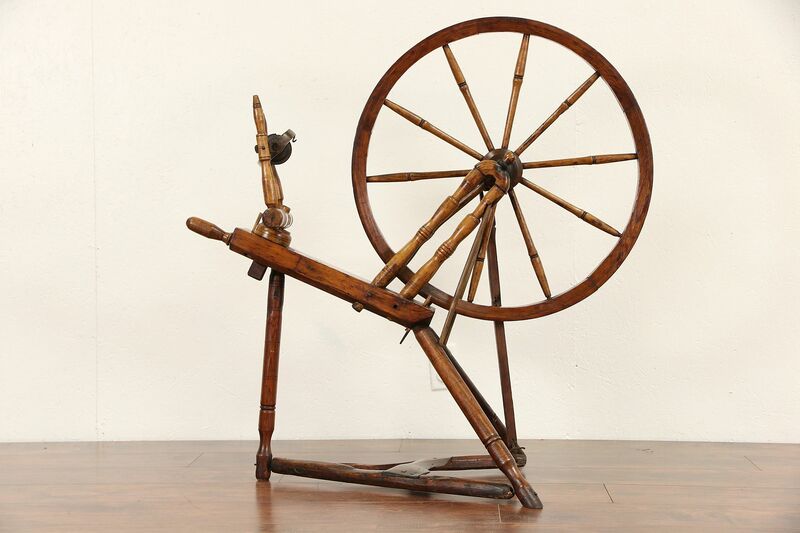 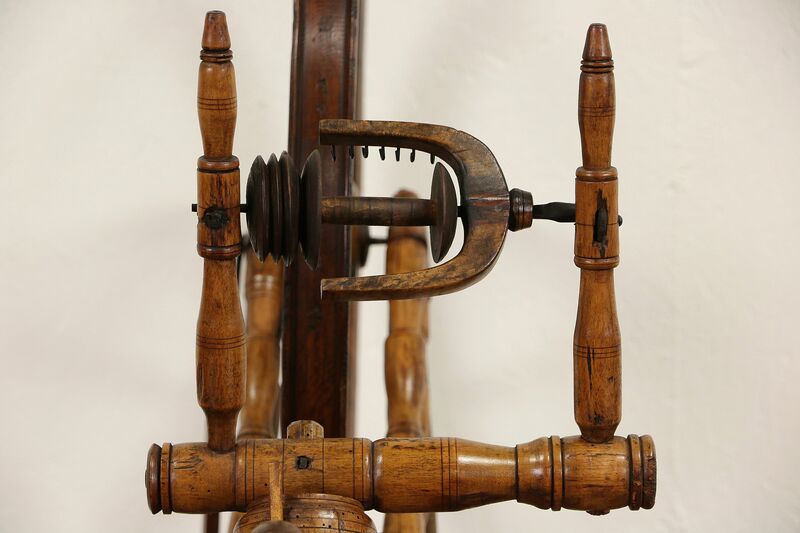 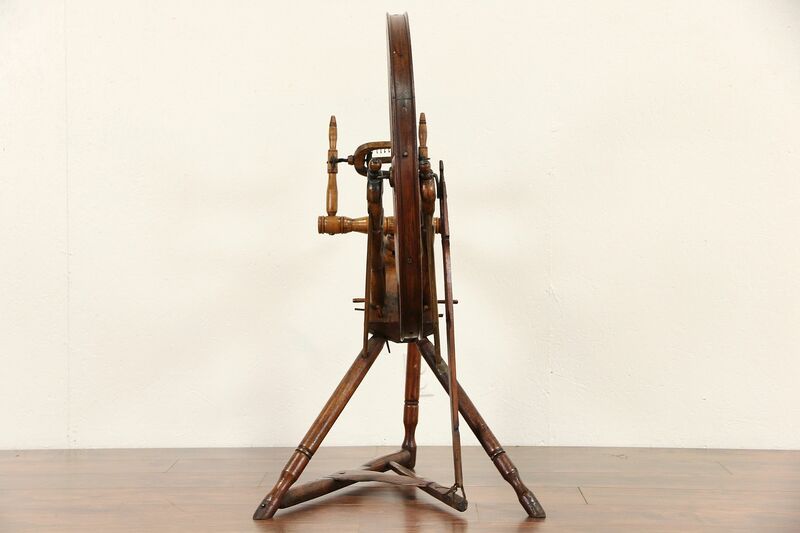 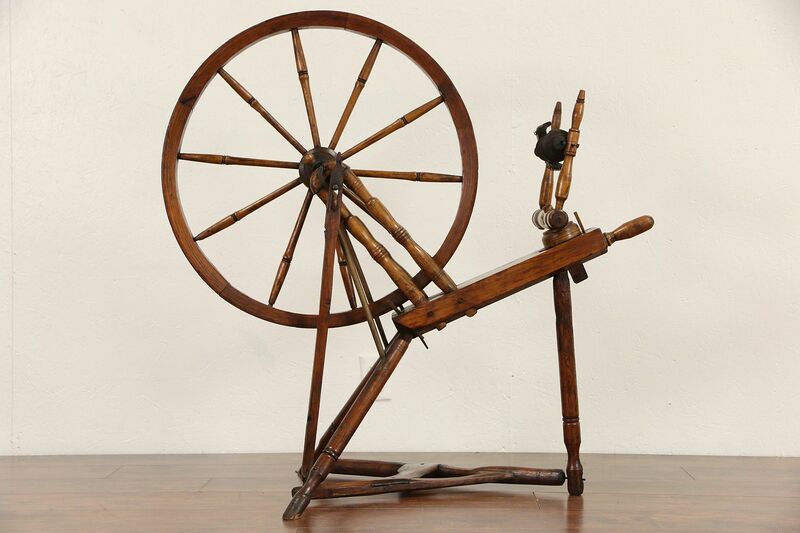 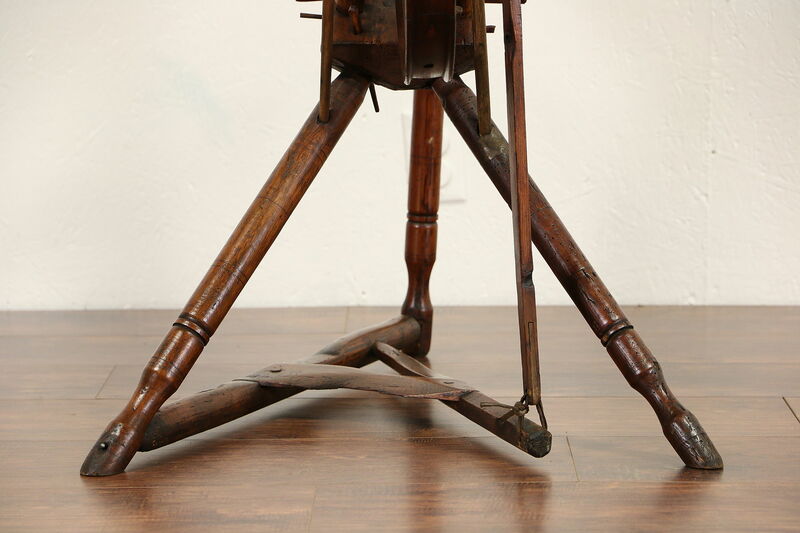 An authentic spinning wheel from the middle 1800's is mixed hardwoods with glowing warm patina and a fine waxed finish, signed near the handle is, "PIS,PIS." 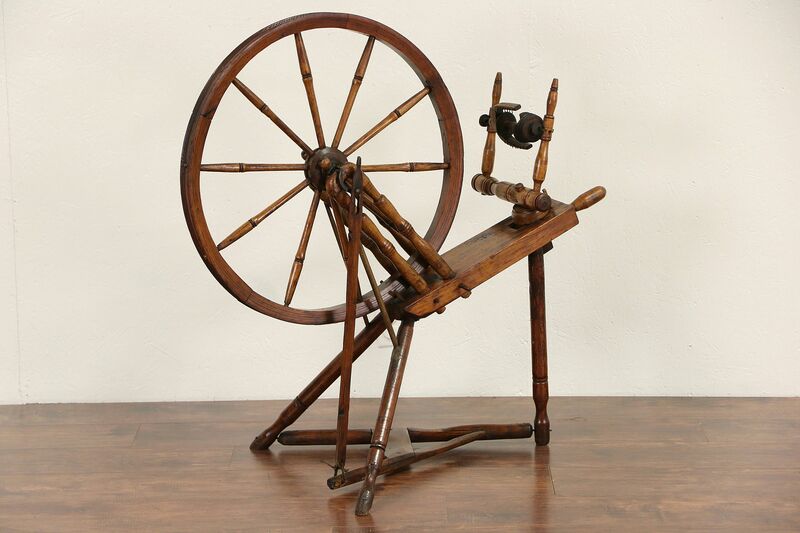 This antique appears complete and working, but we do not have expert knowledge to know how well it would work. 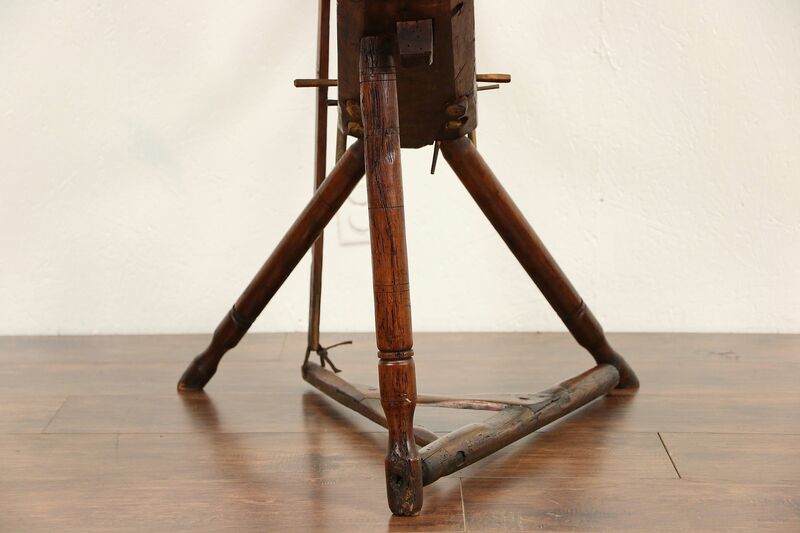 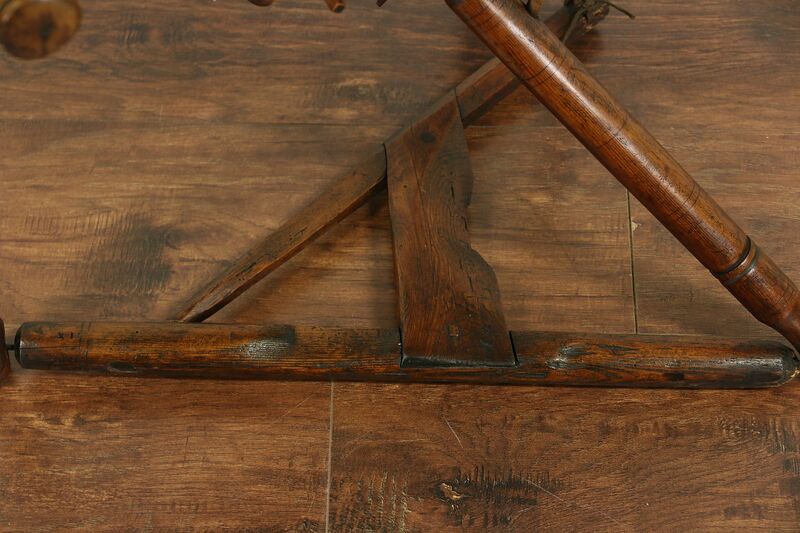 Square cut nails and wrought iron mounts are original on this well worn and charming antique. 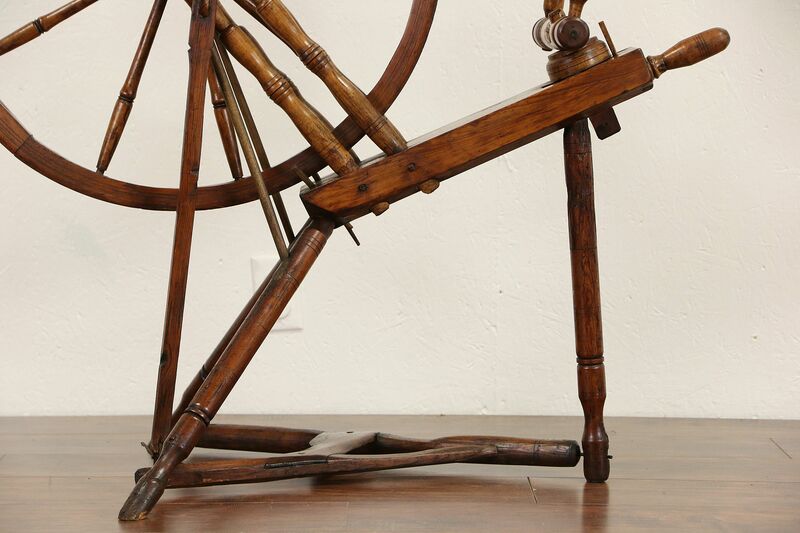 Size is 39" long, 22" wide and 39" tall. 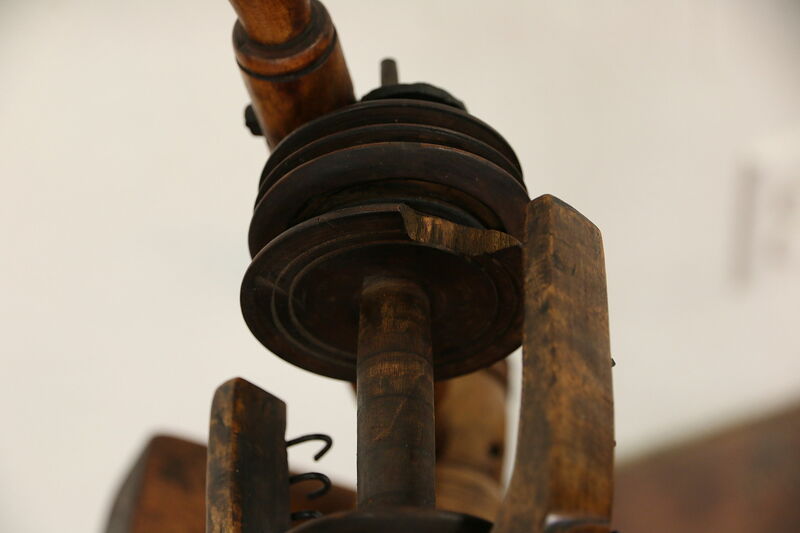 Due to the cost of shipping we recommend adding to an existing order or store pick up. 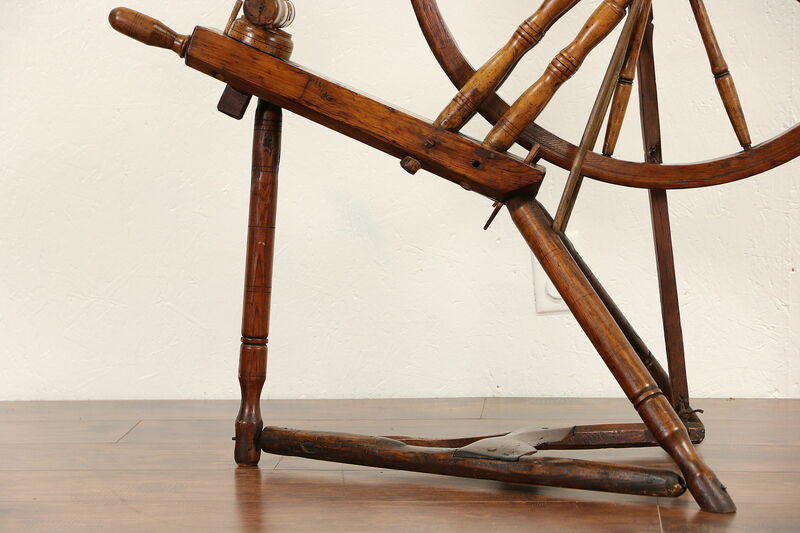 Shipping alone could exceed the cost of the item as it is over sized. 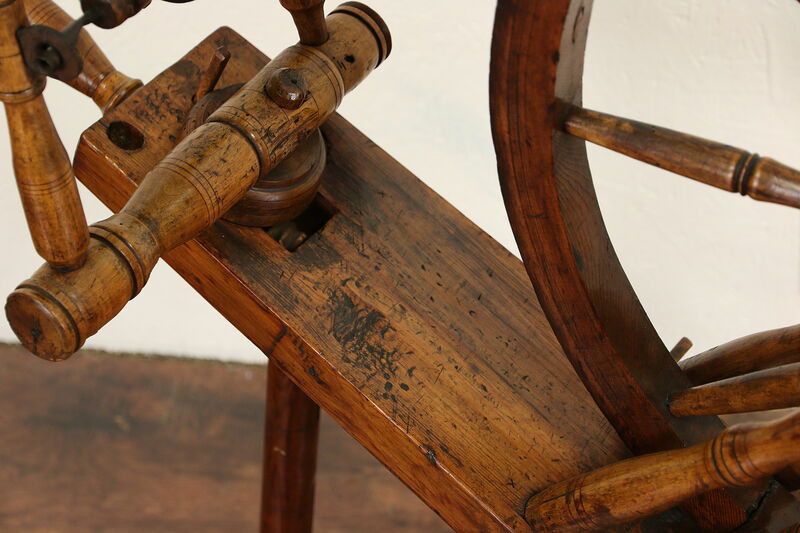 We are happy to request independent shipping quotes from movers, please contact us with your zip code.